We got an interesting glimpse at the past, present, and future of motorcycling with the help of a a few old names showing a lot of promise at the Long Beach International Motorcycle Show. Indian showed up with what they say are the last Stelicon/Gilroy/evo inspired Indian models, a recording of their new motor, and the genuine Munro Special (better known as The World’s Fastest Indian). Their recent purchase by Polaris should provide them with more cash, engineering, manufacturing, and distribution capabilities they need to be a world class player again. We’re looking forward to some exciting new products from them! 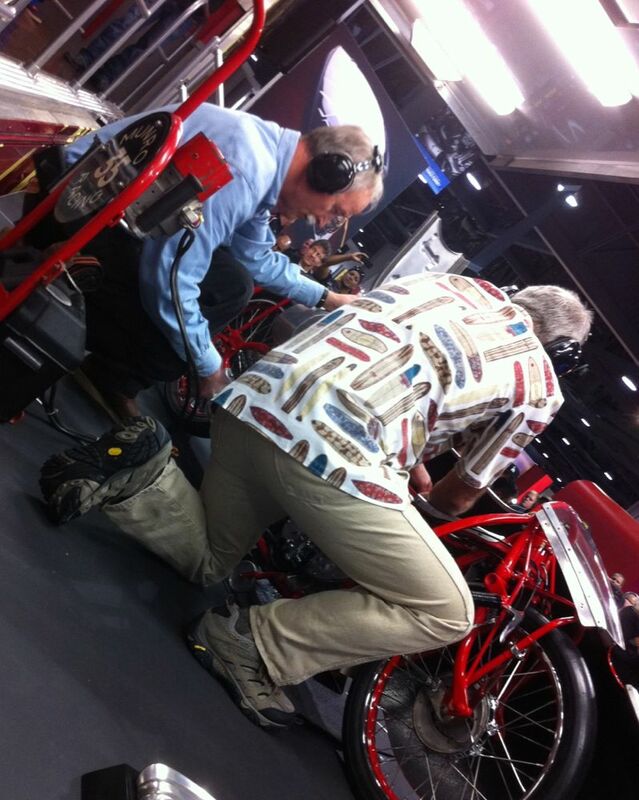 Tom Hensley and helper firing up the Burt Munro Bonneville racer. EBR (Erik Buell Racing) displayed the new street legal 1190RS. They’re hand building a hundred to homologate them for racing. Erik Buell and his team have pushed the principles of centralized mass, low unsprung weight, and chassis rigidity to a new level with the 1190RS. Build quality defines perfection with the combination of Buell’s advanced manufacturing capabilities and top shelf components. Design and engineering are the industry’s best, and they did it without making it look weird. This bike is pure Sportbike elegance. Here’s more good news! 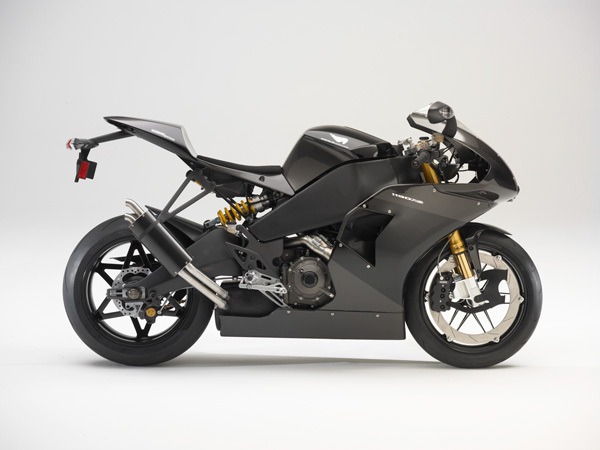 Buell is already turning a profit doing engineering and design work for other companies, and GE Capital has just agreed to provide flooring funds to dealers who want to sell EBR motorcycles. It looks like Harley’s decision to cut Buell loose might have been the best thing for all parties after all. I can’t imagine the 1190RS happening any other way. 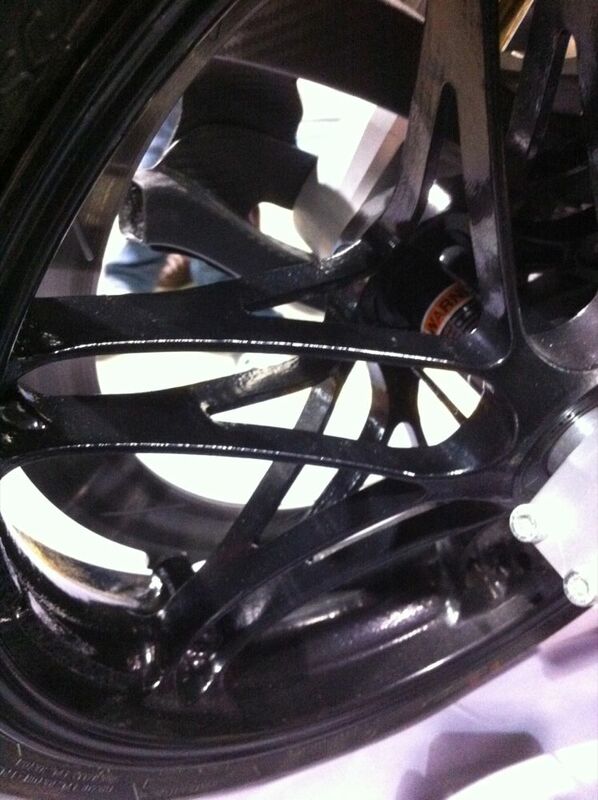 The brake system makes it possible to run an incredibly light weight wheel. I was so excited about the details on the 1190RS I forgot to take a body shot. 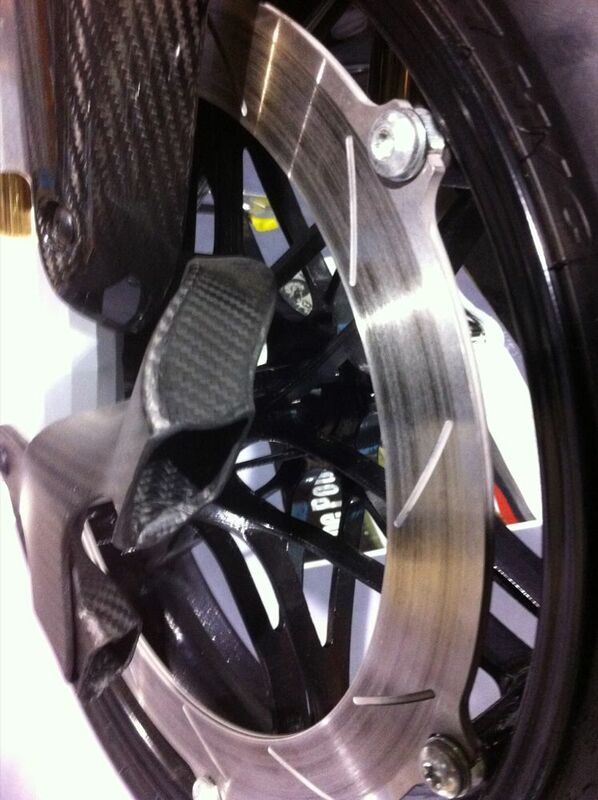 This photo was poached from the Erik Buell Racing website. 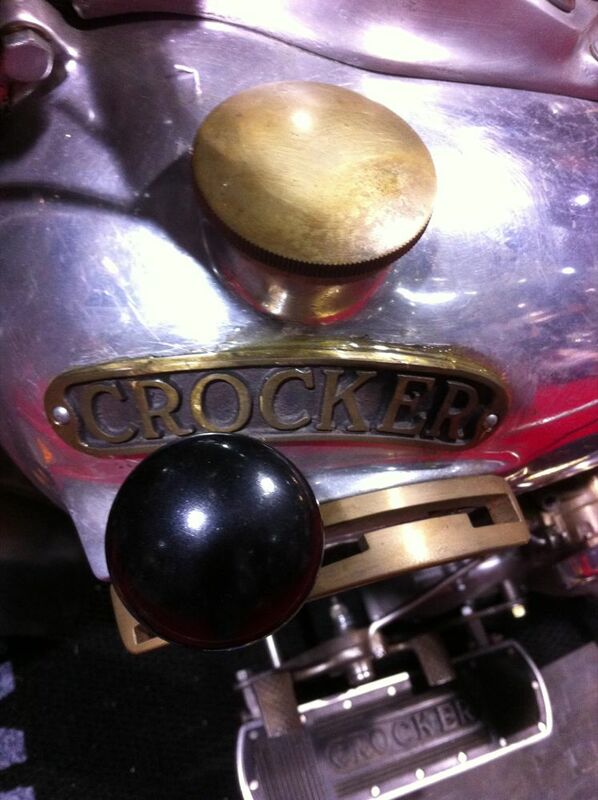 If you don’t remember the name of the motorcycle that breaks record selling prices at an auction every couple years it’s Crocker. 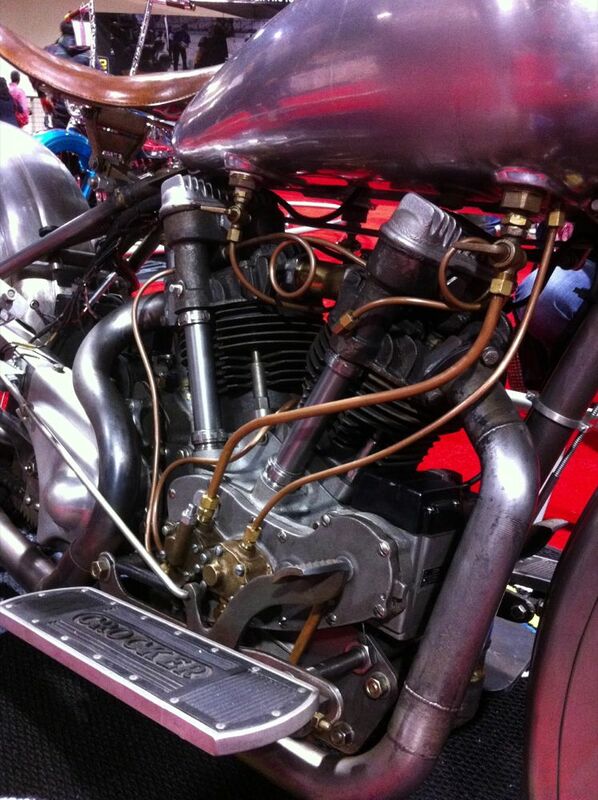 Al Crocker built the world’s the first “Super Bikes” on Venice Blvd. in Los Angeles until WWII started and he was contracted to make parts for Douglass Aircraft (they make F-18s). For more history CLICK HERE. Bottom line, Crocker motorcycles flat out killed everything else on the road in their day and that’s why everybody wants one. Soon a total of fifteen new Crockers will be built using old world manufacturing techniques including drilled and filled welds instead of spot welds combined with modern CNC machining and more. The end result is an amazing machine. It has the texture of something very old and a feel of high precision. Al Crocker’s original design was very advanced. It was known for absolute performance and durability and the reproduction should provide a thrilling ride for the experienced motorcyclist. Their next project is a limited production model similar to the original but with a modern motor, brakes, and electric start making it more suited to every day use…or at least steppin’ out at night. Get in line, they’re only making fifteen of these. I swear, I haven’t been this excited about sitting on a motorcycle since I was nine years old! 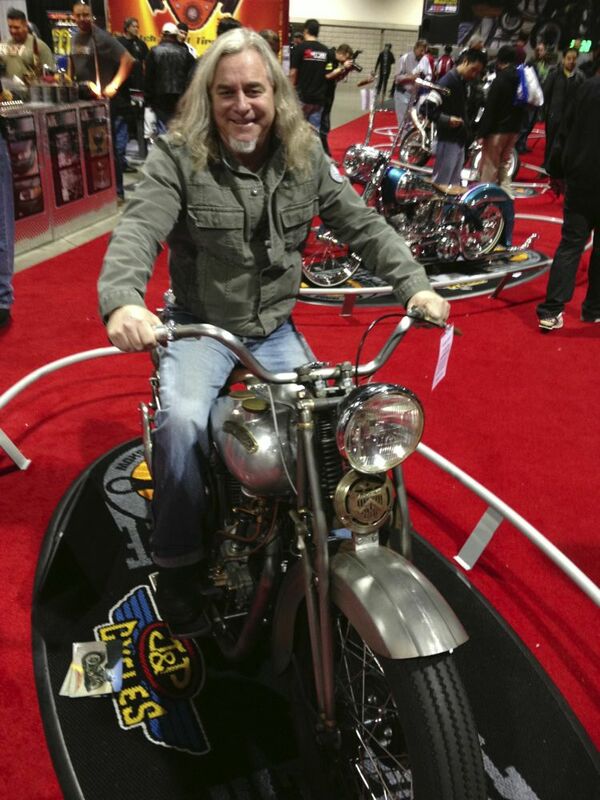 This year’s International Motorcycle Show was one of the best I can remember. Harley-Davidson. Triumph, BMW, Enfield, Honda, Yamaha, Kawasaki, Suzuki, Ducati, and KTM all had a big presence and a bunch of real nice motorcycles. It’s been a good year and there was a lot of “energy” in the air. It was inspiring to see a few American legends on their different paths to glory! 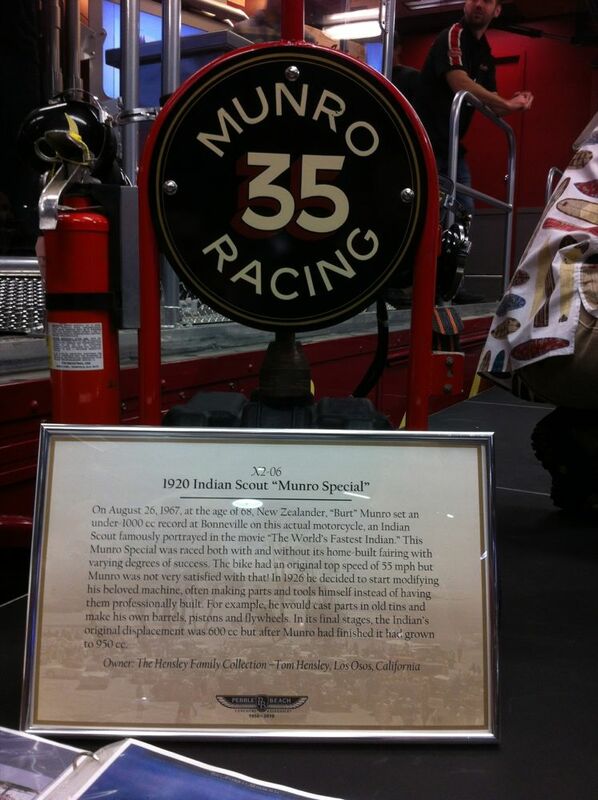 To top things off Sunday was our best day yet at the 66 Motor Palace Orange store. Thanks everybody for your interest in our project and the great products we sell! Nice blog post on your highlights. I also enjoyed the minimalist sidecar rig, laughed at the Michael Jackson tribute Haybusa, enjoyed the matching guitar and bagger from Victory. The all electric dual sport from Brammo convinced me that it's possible to build a usable electric motorcycle.